Since 1989, the Ohio River Valley Water Sanitation Commission (ORSANCO) has organized River Sweep, a cleanup along the banks of the Ohio River and its tributaries. This one-day, annual event encompasses the entire length of the river, from its origin in Pittsburgh to its end in Cairo, Ill. 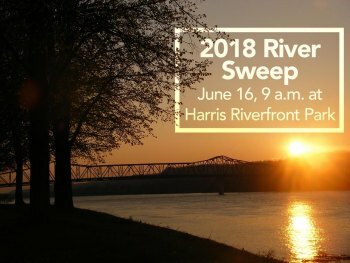 The 2018 River Sweep is scheduled for June 16. Huntington's River Sweep effort will be located at Harris Riverfront Park as well as McClelland Park in Highlawn. Volunteering is simple. All you need to do is show up at the picnic shelter on the east end of Harris Riverfront Park or at McClelland Park in Highlawn shortly before 9 a.m. and sign a waiver form. Gloves, trash bags and litter sticks will be provided, and each volunteer will receive a River Sweep T-shirt. Questions? Call Huntington River Sweep coordinator Bryan Chambers at 304-962-8138 or email j.bryan.chambers@gmail.com. For more information about River Sweep, visitwww.orsanco.org/river-sweep.